CT residents were revving their engines, and their stomachs, preparing for the grand opening of The Golden Corral this past week. The anticipation has been made even more overwhelming by the announcement that their famed buffet, and its chef, Jaques Gasteaux have just been awarded their first Michelin Star. This award was well deserved says food critic Max Consumer, "The Golden Corral has broken every boundary in the buffet business. He is a true trailblazer"
Let me break this down. Golden Corral will be open for breakfast, lunch and dinner. This all day dining affair will offer both hot and cold buffets. The menu items range from grilled sirloin made to order to pizza and pot roast, and a wide selection of foods from various ethnicities. There is also a soup and hot potato bar. Don't even get me started on the dessert options. Check out a few of their most popular dishes below. The Breakfast Buffet is served Saturday & Sunday Until 11AM and will run you $8.69. Lunch is served Monday - Saturday 11AM - 4PM for $8.69, and Dinner is served every day from 4 PM - Close Sunday 11 AM - Close for $11.99 on weekdays and $13.99 on the weekends. However you look at it, for the indecisive diner, this is a party. Warning: If you're getting out of your seat to drive over, Milford police have advised drivers that congestions around the Corral will be heavy in the first days. Bring a snack just in case you get stuck in traffic. The Golden Corral is located at 74 Turnpike Square in Milford 203-783-1539. 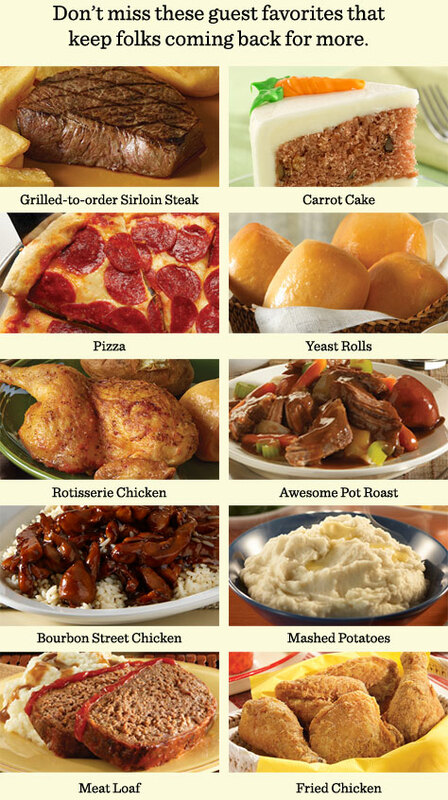 Click here for the general Golden Corral website.